It’s never too early or late to think about saving money for retirement. You may still have many years in the workforce ahead of you, or maybe that time is winding down? Either way, you can start prepping for life after the office. The professionals at Broussard Poché, LLP want to share these tips that you can do right now to prepare for retirement. The rules of retirement financing are complicated, but you can take steps to educate yourself on the basics. Should you be in a Roth IRA or a traditional IRA? What about a 401k and how will social security work? It’s time to start learning. There’s no clear-cut answer because each financial situation is different. You can research some of the basics on your own but get with a financial advisor before you make any decision that will impact your future. Use what your company offers and enroll in a retirement plan. Don’t wait! Even if you think it’s many years away, setting aside a bit here and there is important. Also, be sure you know what happens to the money if you change jobs. Time is on your side here, if you start now you will be in good shape when retirement age rolls around. Going into retirement 100 percent invested in the stock market isn’t the way to go. You need to have a cushion of two years’ worth of liquid savings. This is critical in case the stock market takes a severe tumble. If you have a cushion, you won’t be put in a position to sell your stocks at a terrible time. 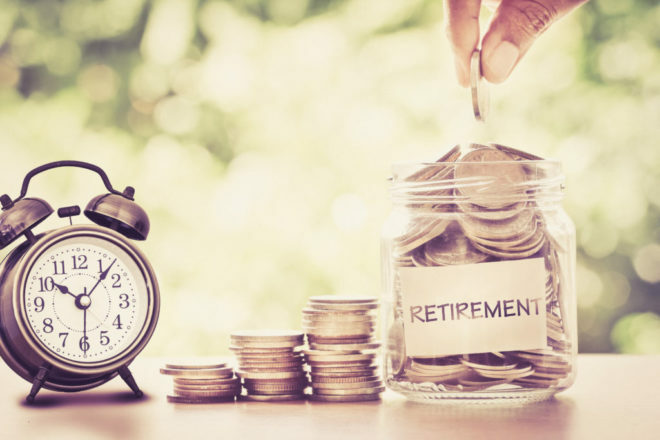 A few years before you plan to retire, redirect your contributions for retirement into cash investment options, such as money market funds or CDs. It’s easier to save for retirement when you don’t have student debt or massive credit card debt hanging over your head. When you’re about to enter your retirement years, credit card debt and any student debt should be paid down. Redirect those payments to retirement options. We recommend saving as much as 15 percent of your salary for retirement. That may seem like a lot, but there is an easier way to get there. Increase the amount you save by one or two percentage points at a time. Some workplace retirement plans have an auto-increase feature, ask if yours has that option. Eventually, you’ll hit the 15% mark and it won’t seem painful month to month. The bottom line is that retirement should be top of mind throughout your career, not just as the time approaches. Sit down with a financial advisor and go over your options before you have to scramble to the finish line.